Keep your fandom strong with the Star Trek Enterprise Logo T-Shirt. 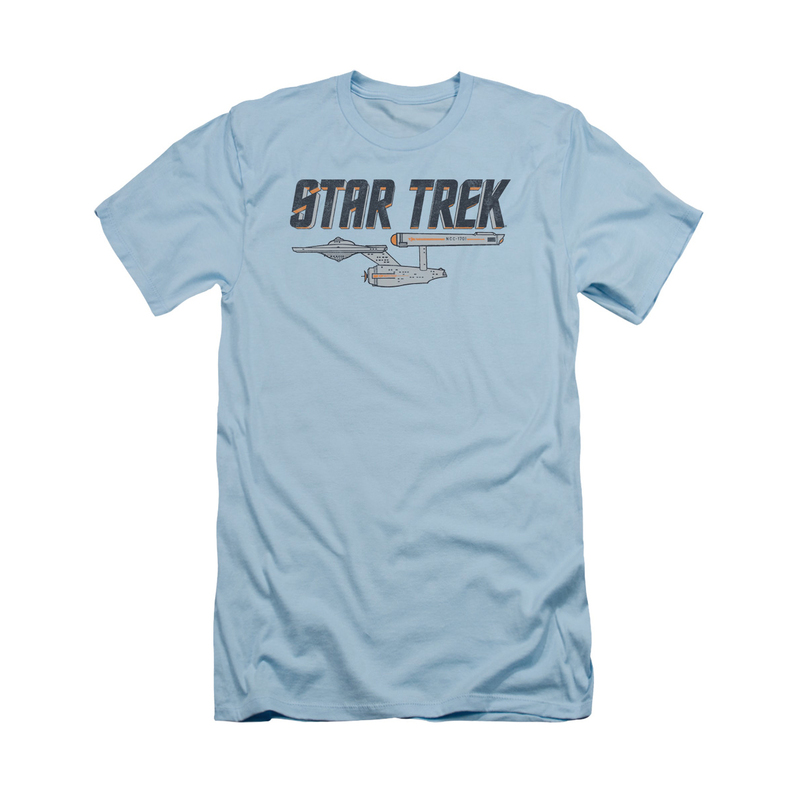 This light blue T-shirt features the original series logo over the USS Enterprise NCC-1701. The retro design offers the perfect identifier of a true fan.